Light Rail Transit (REM) Goes To Montreal By Early 2020s – Montreal will become the third Canadian city following Vancouver and Toronto to have a train service to its major international airport. Key Biometrics Initiatives In the United States – Outside of Atlanta and New York JFK Airports, the US Customs and Border Protection agency is working with other airlines to implement different biometrics initiatives to replace manual identification checks and boarding pass. United Airlines Says Aloha to More Hawaii, Increases Service to 40 Daily Flights (United Airlines) – The world’s second biggest airline by passenger carried is increasing its Hawaiian service in December 2017 from seven cities in fight over marketshare with Hawaiian Airlines, American Airlines and Delta Air Lines. 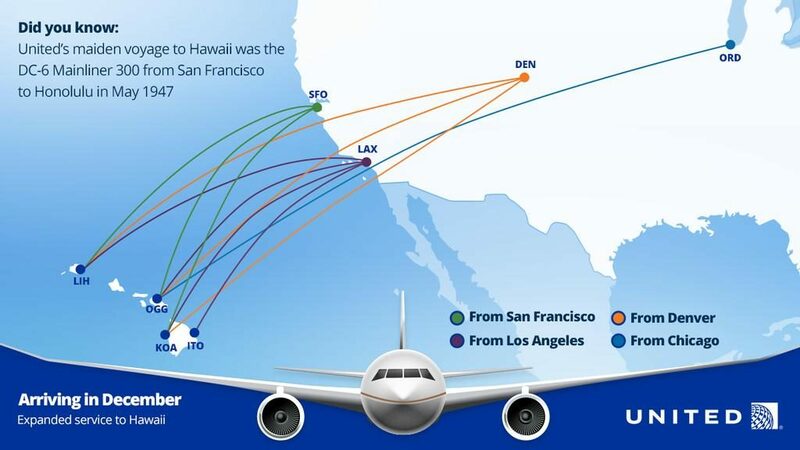 The airline recently celebrated 70 years of Hawaiian flights when DC-6 service started in San Francisco. In addition, all overnight flights from Chicago (ORD), Denver (DEN), Houston (IAH), New York/Newark (EWR) and Washington DC (IAD) will feature lie flat beds in first class. Air Canada is getting its summer off to an early start with 11 New International Services (Air Canada) – Canada’s biggest airline will introduce 11 new routes (9 seasonal and 2 year round) from its Vancouver (YVR), Montreal (YUL) and Toronto (YYZ) hubs in summer 2017. These flights would be served by both mainline (4) and Rouge (5) aircrafts. Of note, the Toronto (YYZ) to Mumbai (BOM) flight would be the only non-stop flight from Canada to Mumbai. SWISS dedicates its first CS300 to Swiss Romandy (Swiss Air Lines International ) – SWISS recently received its first Bombardier CS300 aircraft (Related Experience The Skies News) that will based at its Geneva International Airport (GVA) hub. The aircraft is configured with 145 seats and will be used for regional European service. Budget airline easyJet looks to new planes to cut emissions (Telegraph UK) – Ultra low cost carrier, easyJet received its first Airbus A320neo which is configured with 186 seats in an all economy cabin. Neo stands for new engine option which allows easyJet to achieve better fuel economy, lower carbon emissions while contributing an additional 7pc cost per seat. SriLankan Airlines says Airbus agreed to change A350 order (Reuters) – SriLankan Airlines previously cancelled four out of eight Airbus A350-900 orders. It has tentatively reached a deal with the aircraft manufacturer to switch the remaining order to another unspecified aircraft type. The airline has been in financial disarray for the last year as losses mount. Here’s a Look at the Good, Bad and Ugly About Air India (Bloomberg) – Air India is saddled with operational and debt challenges while competing with many low cost carriers. The state owned airline may be an attractive buyout target for its fleet of modern aircrafts, large footprint in India and flight slots at congested airports in Mumbai and New Delhi, India. Auckland Airport announces new aeronautical prices for next five years and $1.8 billion infrastructure investment to support the continued growth of New Zealand travel and tourism (Auckland Airport) – The airport upgrade will take place between 2018-2022. It will add capacity, additional gates for Airbus A380/Boeing 787 and improve passenger experience. The airport is home for Air New Zealand. 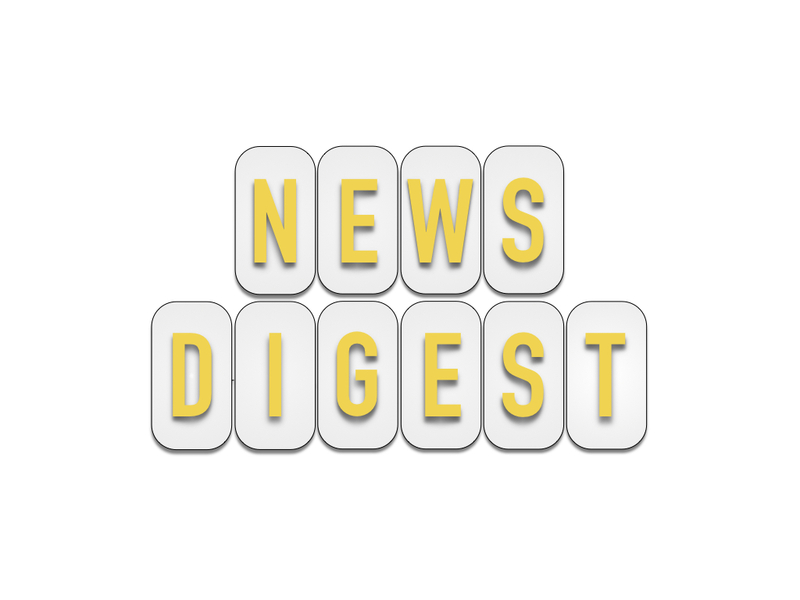 TSA, American Airlines Testing New State-of-the-Art Screening Technology (NASDAQ) – Transportation Security Administration and American Airlines partners to use new CT scan equipment at Phoenix Sky Harbor International Airport (PHX). The new equipment is capable of digitally scan a carryon and provide agents with a 3D image that would enhance the review process. Hainan Airlines works with Boeing and Dreamworks in creating a unique livery design contest for a new Kung Fu Panda themed Boeing 787 aircraft. The following is the story of winner Hannah Foss from the US.